Scrapping your car has never been easier and that’s thanks to government legislation put in place in recent years to tackle the problem of abandoned cars head on. Now, if your car has been written off or seen better days and you are wondering how to pick a scrapyard in Loughborough or Leicester, then there is one major rule to follow. And that’s to take it to an Authorised Treatment Facility (ATF). These are organisations which have been approved by the DVLA to scrap a car in the most environmentally friendly, correct and careful way. So, you can have the peace of mind that any hazardous parts of the car, such as the battery and brake fluid, are disposed of properly and all procedures are followed to the tee. Whereas in the past you may have paid to scrap your car, now you’ll come away with money in your pocket and the ATF will also make their money by salvaging any reusable parts. So, now you know how to pick a scrapyard, what do you do next? If you’re wondering how do I scrap my car, then it’s a good idea to first off get an idea of what it’s worth. Take a look at our online calculator for example and you’ll get some idea of what you should be able to get back in return. Then it’s time to dig out your V5C log book – this way you’ll be able to prove that you’re the registered keeper. Make an appointment to leave your car with an ATF and you may find that they will collect the vehicle for you for free. After you’ve parted ways with your car, it’s then time to relax and wait for the ATF to inform the DVLA that it has been scrapped and await a Certificate of Destruction – your proof that you are no longer liable for road tax or traffic penalties for this car. 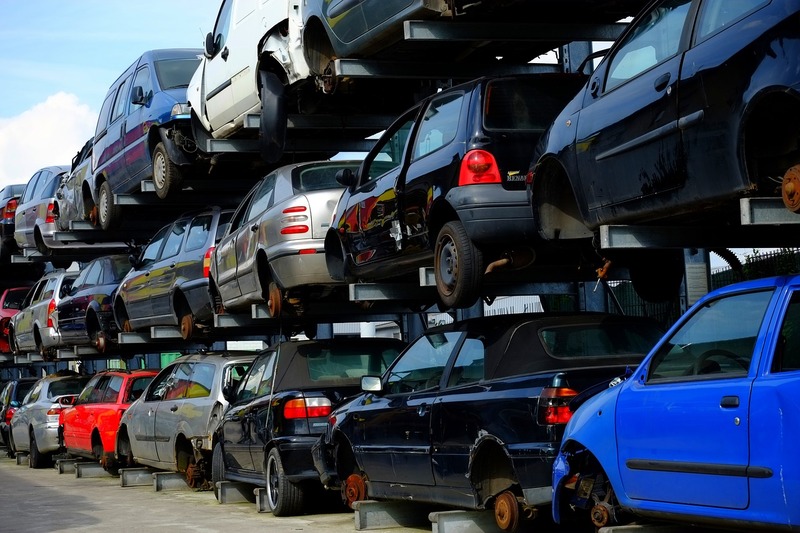 If you want to scrap your car in the best possible, legal and most cost effective way, then again, we can’t state enough the importance of using a DVLA approved scrapyard. Selling your car for scrap has never been easier. When your car has been declared a write off, un-roadworthy, or the repairs would cost more than the vehicle itself, just use our handy online calculator to find out details of how much money you could get back in return when you choose to scrap your car with us. To discover more about getting your car scrapped in Loughborough or Leicester, get in touch with a member of our professional and friendly team today.